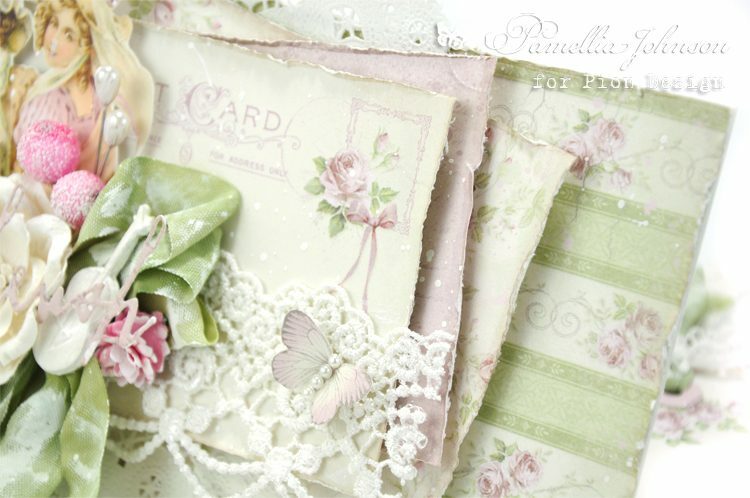 Today I am excited to share this feminine card featuring the exquisite papers from the new ‘Where the Roses Grow’ collection. 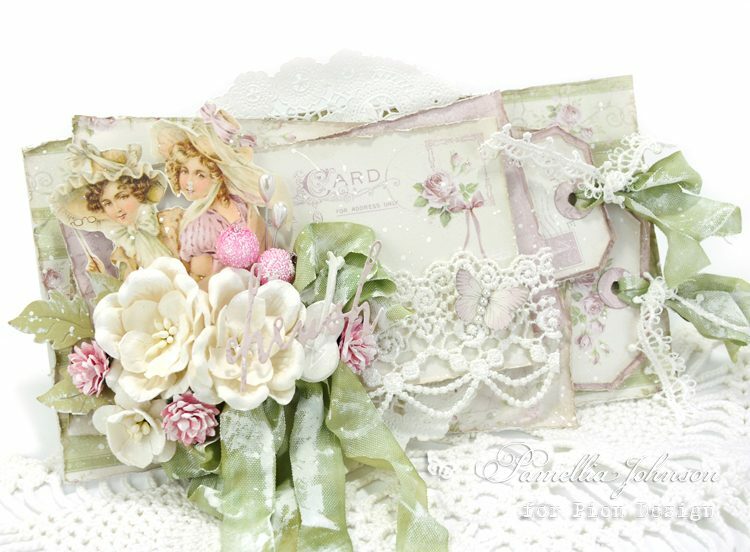 I just adore the soft vintage rose designs and shabby muted tones! I have also put together this video tutorial with an easy technique on how to create dimensional pockets to hold your tags! I hope you enjoy! What a stunning and beautiful card wowwww.